Electrical Resistivity - Hager-Richter Geoscience, Inc. : Hager-Richter Geoscience, Inc. The resistivity method measures the apparent resistivity of the subsurface, including effects of any or all of the following: soil type, bedrock fractures, contaminants and ground water. Variations in electrical resistivity may indicate changes in composition, layer thickness or contaminant levels. The resistivity method is useful for simultaneously detecting lateral and vertical changes in subsurface electrical properties. Electrical resistivity is also used to delineate 3-dimensional structures with anomalous electrical conductivities. Depending on the client’s need, Hager-Richter uses traditional Vertical Electrical Sounding (VES) and lateral profiling methods as well as state of the art 2-D imaging techniques to produce the best results for any situation. 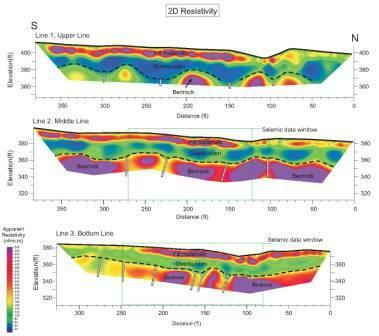 The use of rapid, automated data acquisition systems used to create 2-D “tomograms” has increased the flexibility of resistivity as a tool for environmental and geotechnical applications. Since no two projects are alike, the depth and diversity of our experience provide distinct advantages for our clients. 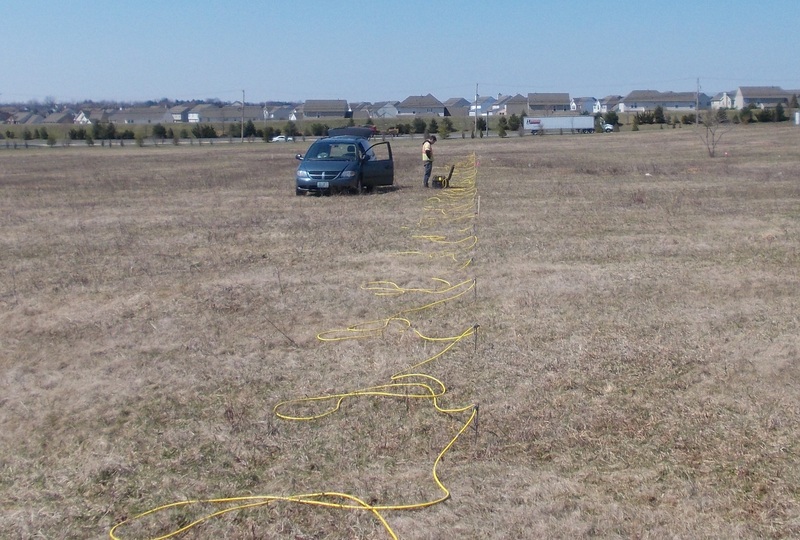 Electrical resistivity surveys have certain limitations. They may be unsuitable for examining highly industrialized and/or urbanized areas where cultural features such as buildings, fences, and power lines may interfere with acquisition of accurate data. The target depth, size and, of course, resistivity contrast may pose limitations. We can provide you with an accurate assessment of your requirements to determine whether or not the use of the resistivity method is appropriate at a particular site. 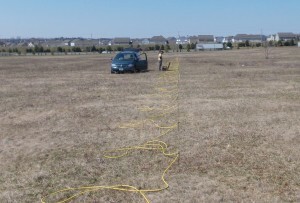 Boone County, KY: Resistivity survey for new tunnel construction project. As part of a geotechnical evaluation of a proposed construction site located in an area of Karst terrain, Hager-Richter was hired to to determine the depth to bedrock and detect openings in the bedrock, such as karst solution channels and former mine workings. 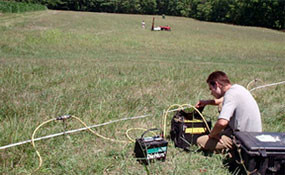 Hager-Richter conducted an electrical resistivity imaging survey to detect and map the locations of Karst features at the Site. The electrical resistivity of the air-filled, clay-filled, or water-filled depressions typical for Karst environments is significantly different than the resistivity of the surrounding materials providing a strong contrast in the electrical properties. The basis of the resistivity method, then, is that such regions of differing resistivity can be detected.